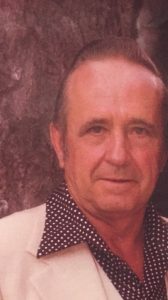 Alvin T. Smith, 92, of David City, died Wednesday, April 27, 2016, at the Omaha Veterans Administration Hospital. Alvin T. Smith was born November 9, 1923, and adopted by Walter and Emily(O'Hara) Smith. Alvin served in the United States Navy from 1943-1945. After his service in the Navy he was United in marriage to Clarice Claussen. Al was passionate about conservation and natural resources. He received the Distinguished J. Sterling Morton award for his 12 years of service and accomplishments for conservation. 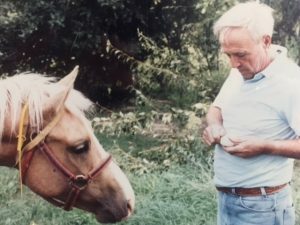 For 15 years, outdoor classrooms and gun safety programs were held at Al and Clarice's farm and they hosted over 10,000 high school students to educate them about the importance of conservation. Al had a long and passionate career, first managing the NRD_Lower South District for 12 years before becoming the Chairman of the Board for the Nebraska Water Resource Association. Al retired as a Legislative Lobbyist focusing on the Elk and Ostrich Associations. Alvin is survived by his children ;Jeanette(Dan) Schultz, Deborah Sylvester and Alan T. Smith, grandchildren Susan Waller, Sara Sullivan, Jamie Sylvester, Jessica(Matt) Richards, Jennifer(Anthony) Cook, 9 great-grandchildren and special friend, April Smith. He was preceded in death by his parents, wife Clarice, brothers Chester and Robert O'Hara, Alfred Smith and grandson, Shannon Sylvester.